“My name is Traci Schmidley. I am mother to six children, and foster mother to more. Two of my six children were adopted from foster care. My husband and I are both teachers and together we teach our children, along with several of their friends, out of our home. We are passionate about our faith, education, and adoption. We live in rural Louisiana and the kids raise chickens, ducks, and guineas. 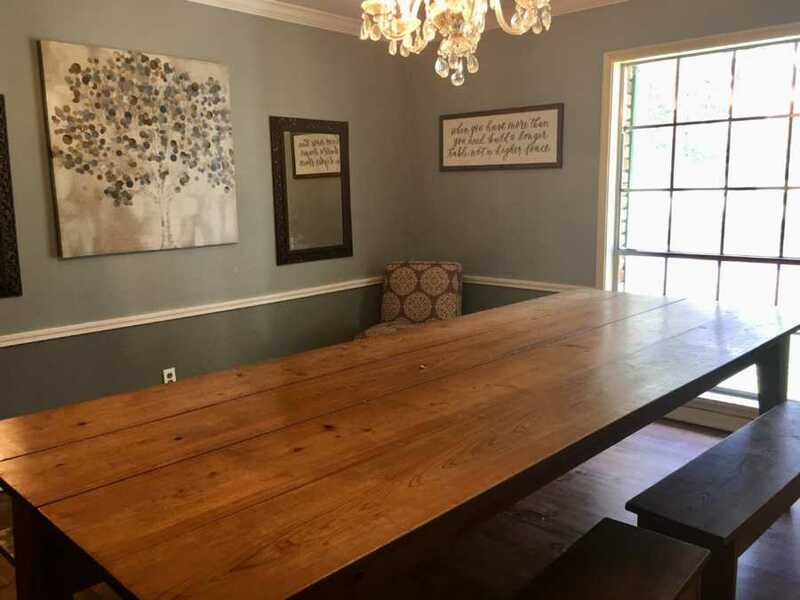 We have a huge dining room table that is almost always full of people, which is just the way we think it should be. 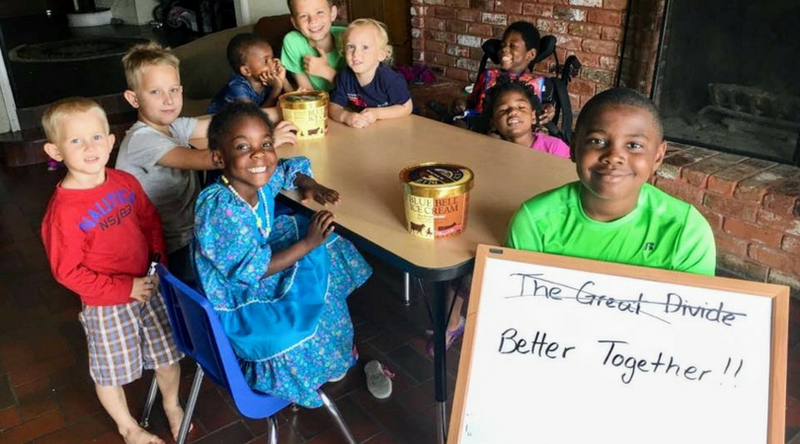 A few days ago, we surprised the kids with some ice cream to celebrate the end of a week of hard work. 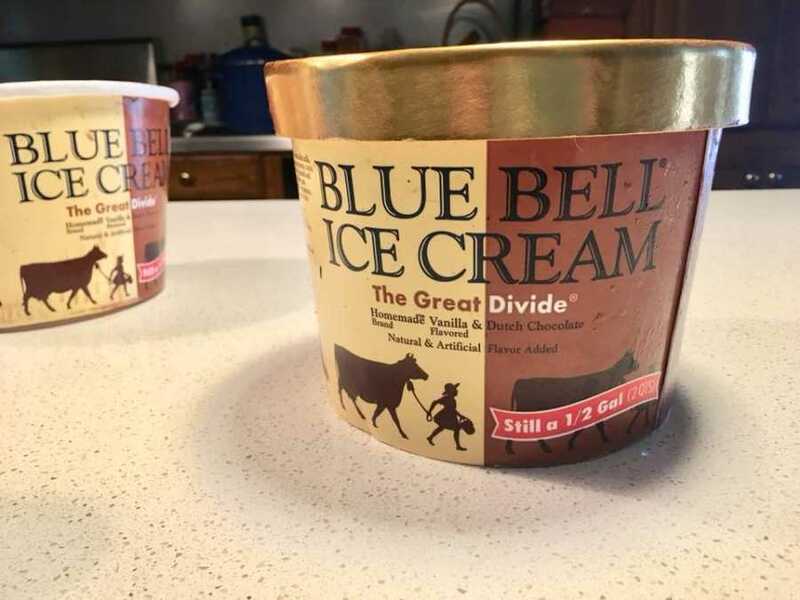 We always buy Blue Bell, and this time we chose the flavor The Great Divide, which has chocolate on one half and vanilla on the other half. My oldest son is 10-years-old. He is talented academically and adores all subjects, but math and history are his favorites. He jokingly commented that the Great Divide flavor should be called the Civil War flavor. The line down the middle of the carton reminded him of the Mason Dixon line, and the name reminded him of a time in history when our nation appeared to be irrevocably divided. He looked at our table and saw a mixture of both black and white people, not divided on one side or another like in the ice cream but gathered around the table together. As a mother and as a teacher I was struck by his simple logical, and beautiful soul. I had the kids write a letter to Blue Bell ice cream with their suggestion, and their friend, Jayden, suggested I put it on Facebook so his mother could see. I hoped the post would get to Blue Bell and the kids could learn more lessons about social media, and the power of their voices, but I never anticipated the reaction from the post. People are sending us gorgeous photos of their diverse families and communities from all over the world with #bettertogether. Despite reports to the contrary, nobody claimed the original name was racist. We weren’t whining or complaining or ‘demanding change.’ The children are 8, 10, and 11-years old. 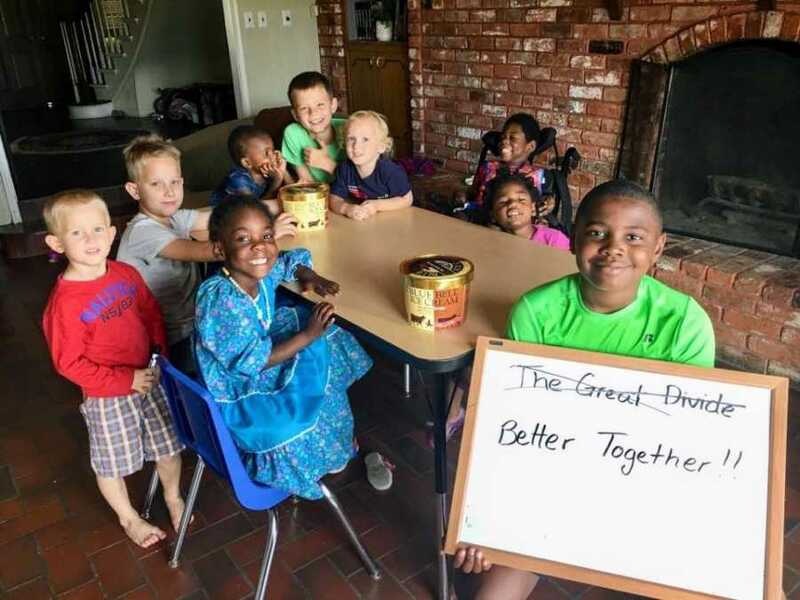 They are precious people, with beautiful hearts, who just didn’t think the name ‘great divide’ was the best name for something as wonderfully unifying as Blue Bell ice cream. So, they humbly, respectfully, and politely presented another idea, an idea that I feel shows us where our nation is heading. As a teacher and mother, I am really proud of these young people and I believe in #bettertogether and I’m so grateful my children and students do as well. This story was submitted to Love What Matters by Traci Schmidley, of Louisiana. Submit your own story here, and subscribe to our best stories in our free newsletter here. Help us show compassion is contagious. SHARE this inspiring story on Facebook or Twitter with your friends and family.